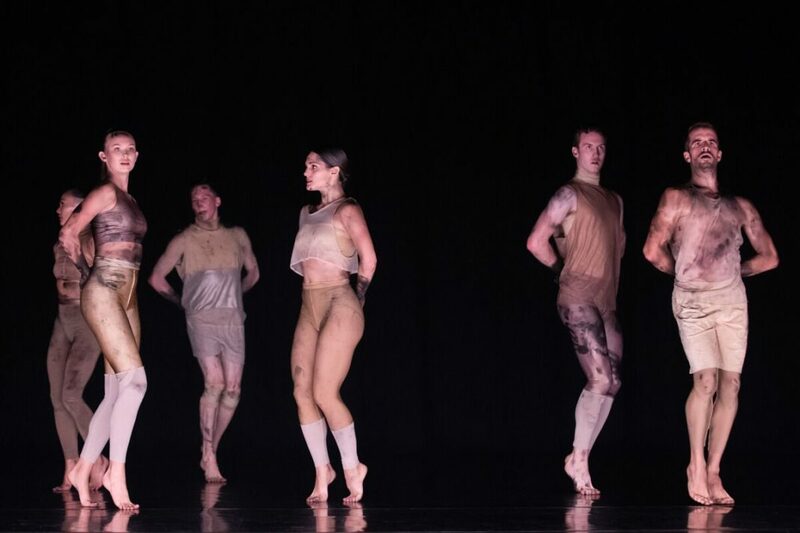 Below is the text of an article I was commissioned to write about the Canberra season of Sydney Dance Company’s first program for 2019, Bonachela/Nankivell/Lane. It was meant also to include a note on the company’s 50 year history. Sadly and disappointingly, a truncated version, with no images, appeared in The Canberra Times. It was not what I was led to believe would happen. 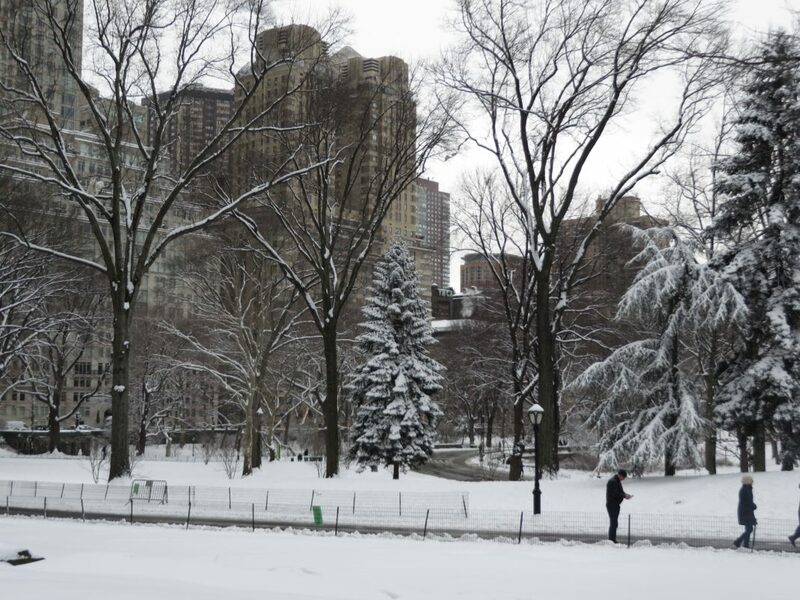 Several people in the dance community were generous in their support of what I was writing, so I am posting the story as it was meant to be, and I’m including some images: an article on dance without images hardly makes sense. 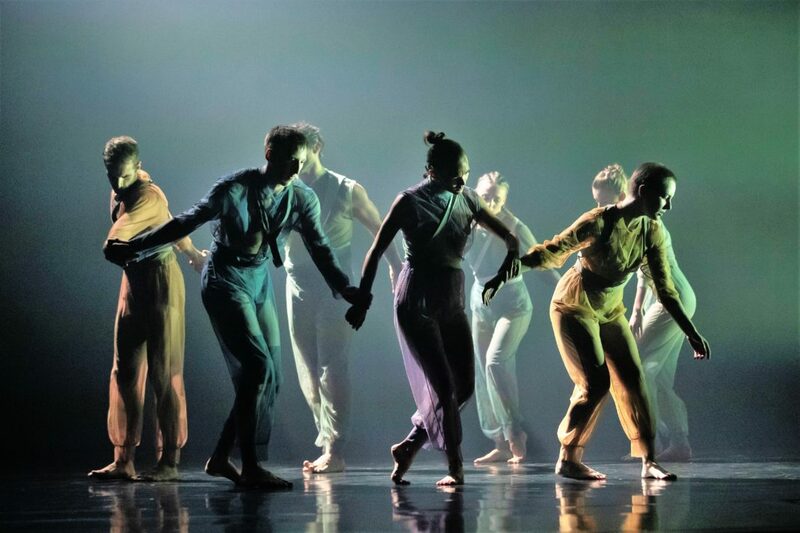 Sydney Dance Company turns 50 in 2019 and it’s time to commemorate the exceptional endurance of one of the country’s favourite contemporary dance companies. It’s time, too, to celebrate Sydney Dance Company’s bold commitment to the new in the performing arts. The company’s current artistic director, Rafael Bonachela, calls that commitment ‘the continued investment the company has made in new Australian work over its 50-year history’. Shane Carroll, former dancer with the company during the years it was led by Graeme Murphy, has been engaged in digging deep into the history of the company. She has come up with some astonishing figures. In addition to the creation of 250 new works, over 50 years Sydney Dance Company has commissioned new scores from 38 composers—the very first going to Peter Sculthorpe in 1971. It has also commissioned 124 different designers, employed more than 260 dancers, and has shown the work of about 90 different national and international choreographers. Sydney Dance Company began quite modestly in 1969 as Ballet in a Nutshell. 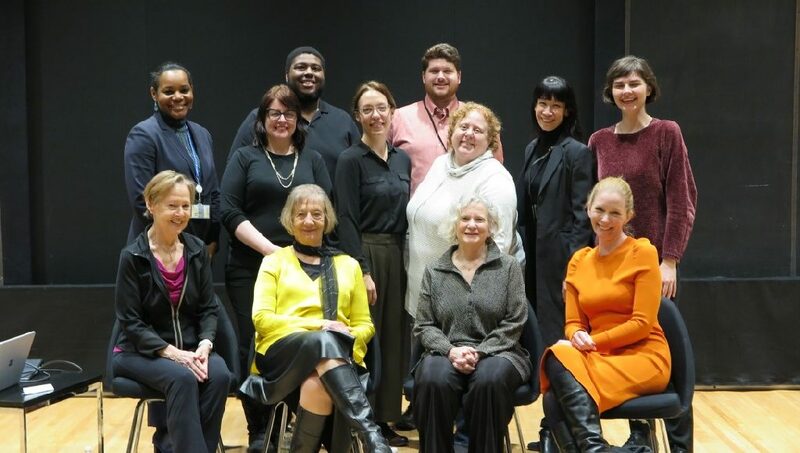 It was the idea of the then artistic director of the Australian Ballet, Peggy van Praagh, and was led by a foundation member of that company, Suzanne Musitz. Her small team consisted of some dancers from the Australian Ballet School and one pianist. It was essentially a dance in education company taking dance into schools, initially secondary schools in Sydney. A little later, to attract more boys to its sessions, the name was changed to Athletes and Dancers. The group grew into a fully-fledged dance company named the Dance Company (NSW). After being led by Musitz for another few years and then, briefly, by Dutch choreographer Jaap Flier, Graeme Murphy was appointed artistic director at the end of 1976. With his artistic associate (now wife) Janet Vernon, Murphy led the company for 30 years. 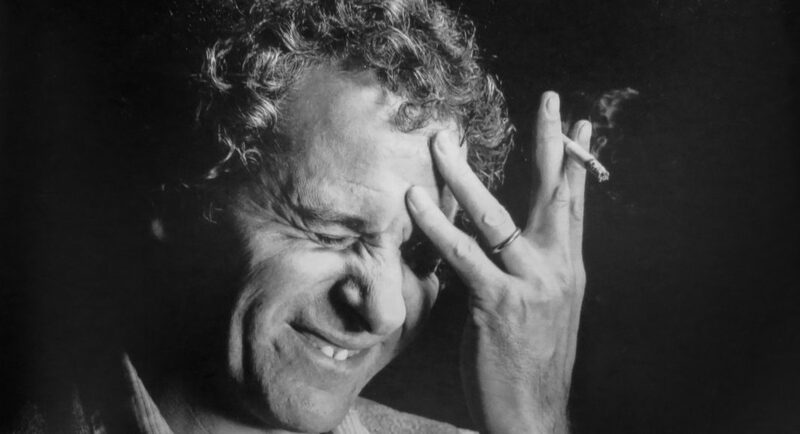 The name change to Sydney Dance Company came in 1979. The contribution made by Murphy and Vernon over that period raised the profile of the company to that of an internationally respected one whose repertoire was hugely diverse. 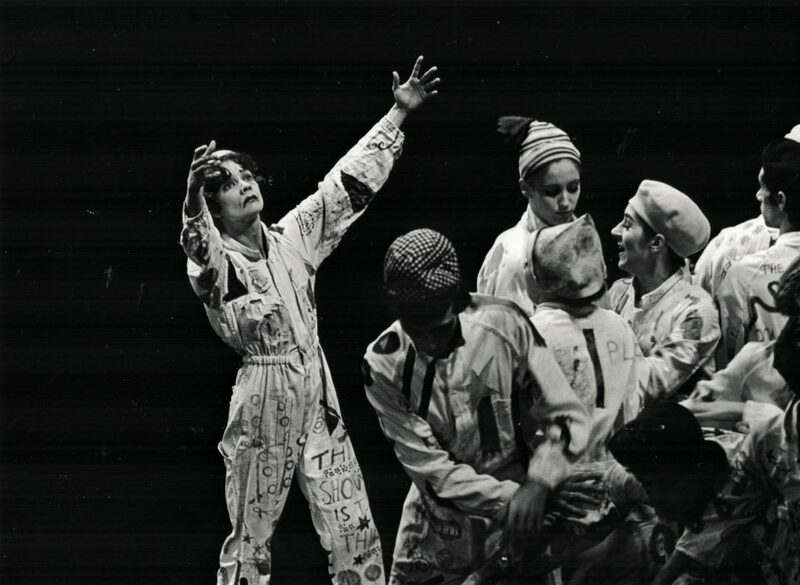 In the early years of his directorship, Murphy’s choreography included the first evening length work by an Australian contemporary dance company with Poppy (1978), which looked, inventively, at the life of Jean Cocteau; Glimpses (1976), a work based on the art and writing of Norman Lindsay using a score by Margaret Sutherland; and a very daring Daphnis and Chloe (1980) with designs by Kristian Fredrikson to music by Ravel. 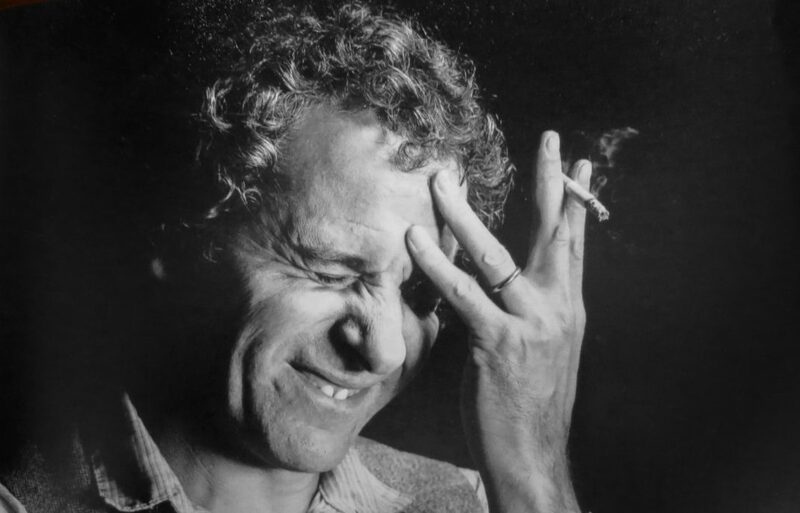 Murphy’s commitment to new work, often with an Australian theme, and to collaborating with Australian composers and designers, continued until 2007 when he and Vernon resigned. Rafael Bonachela joined the company as artistic director in 2009. 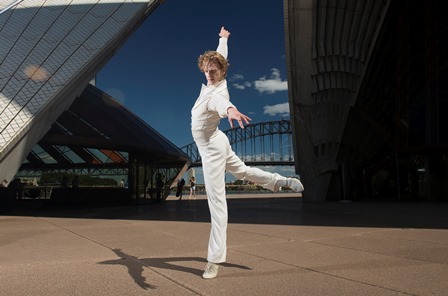 His first program in Sydney Dance Company’s 50th anniversary year consists of a new work of his own, Cinco; another brand-new work, Neon Aether, from Gabrielle Nankivell; and WOOF from Melanie Lane, which was first seen in 2017 as part of Sydney Dance Company’s experimental choreographic season, New Breed. Canberra audiences will see this program in May. Cinco, which means five in Spanish, has been created on just five dancers. It is danced to five movements of a string quartet by Argentinian composer Alberto Ginastera, which ‘by chance’ says Bonachela, was written in the 1950s. Bonachela admits that there is something about numbers that fascinates him. He loves the idea that, in this case, the emphasis on the number five is unusually significant. Fashion design Bianca Spender has created the costumes for Cinco. Bonachela says he has admired her work for some time, especially the way her clothes are both structured and fluid. Spender’s Cinco costumes move beautifully with the body, and play with colour and shape. In 2014 Gabrielle Nankivell made a powerful, idiosyncratic statement with Wildebeest for Sydney Dance Company’s New Breed season. Now she is back with Neon Aether, which was inspired by aspects of the solar system and science fiction. Nankivell’s partner in life, Luke Smiles, has created an electronic score, which is punctured by voices announcing instructions relating to a journey in space. Those instructions coincide with dramatic blackouts from lighting designer Damien Cooper. Melanie Lane had a smash hit with WOOF in the New Breed season of 2017, so much so that Bonachela has included it in this 50th anniversary program. It too has a commissioned score, this time by Clark, who is Lane’s partner in life and who prefers to be known, theatrically at least, by just one name. Bonachela describes WOOF as ‘brilliant, powerful and about community and belonging, with a touch of vulnerability.’ Watching it on opening night in Sydney in March it reminded me a little of an absorbing, modern-day Rite of Spring. There are several Canberra connections to celebrate in this current season. Bonachela is now a patron of Canberra’s youth dance organisation, QL2. He accepted the invitation last year, mentioning that he wanted to mentor young dancers and adding how impressed he had been with dancers who had come through the various QL2 programs and then joined Sydney Dance Company. Then there is Melanie Lane. Now with an international reputation, Lane grew up in Canberra and trained at the National Capital Ballet School when it was directed by Janet Karin. Lane recalls Karin’s ongoing interest in new choreography and was inspired to make her own dances as a result. Karin says she felt sure that Lane would go on to choreograph and adds that as a dancer Lane was ‘fluid, sensuous, strong and feminine all in one.’ On opening night of this anniversary program, WOOF was greeted with huge applause and even had Bonachela himself standing, shouting and whistling. Composer of WOOF, Luke Smiles, has a strong connection with Canberra too. He performed as a dancer with Sue Healey’s Vis-à-vis Dance Canberra back in the 1990s. 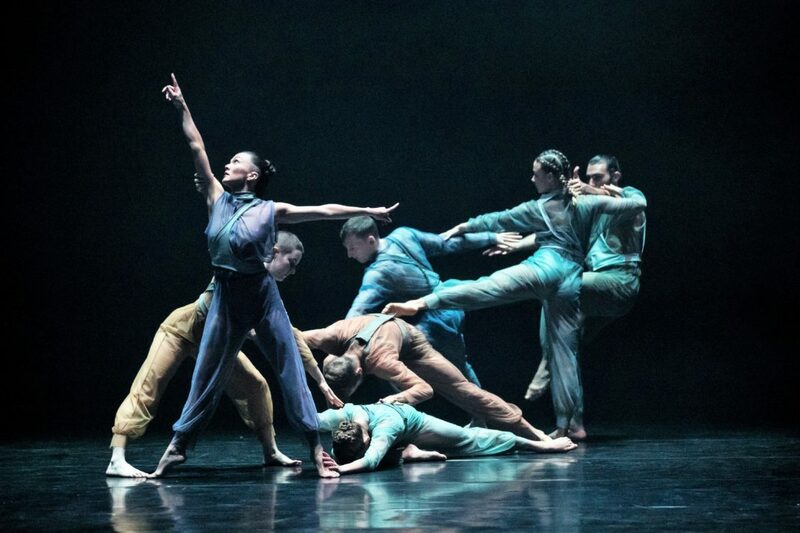 In addition, Sydney Dance Company, under its various different names, has been touring to Canberra for almost the entire 50 years of its existence. 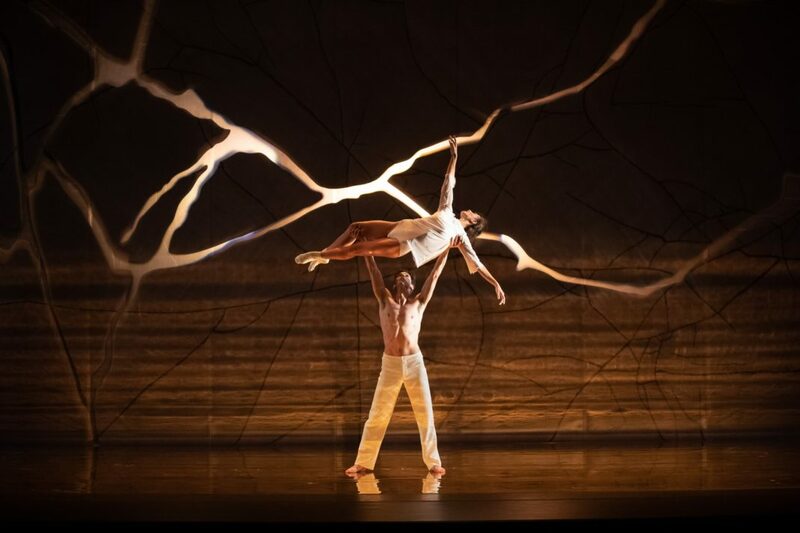 In fact, the company’s first season under the name Dance Company (NSW) was in 1971 in Canberra, when Love 201 with that commissioned score from Peter Sculthorpe was presented. 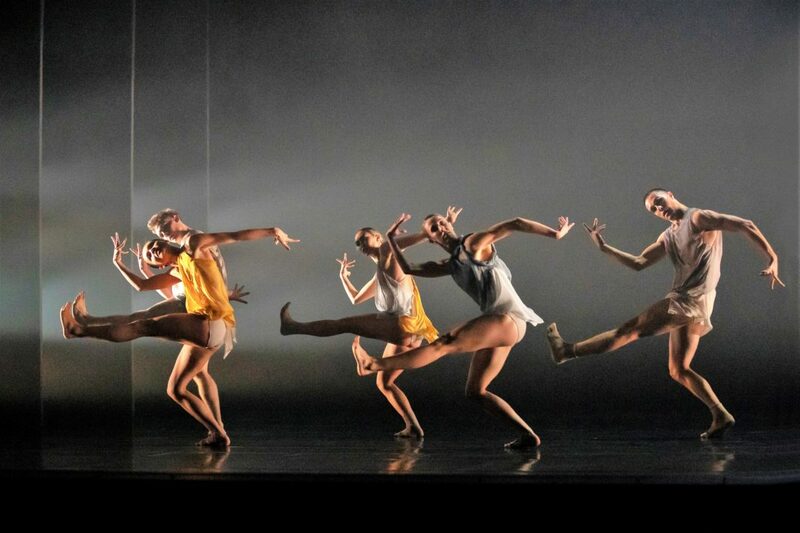 The program Bonachela/Nankivell/Lane is Bonachela’s tribute to Sydney Dance Company’s commitment to the new in dance. But Sydney Dance Company’s commitment to Canberra is definitely something that also deserves to be celebrated by local audiences. Don’t miss it.